Rajinikanth, Radhika Apte and Dhansikaa playing main lead roles in the forthcoming movie titled Kabali is busy with its shoot. Social Media has buzzed couple of pics of Rajinikanth and Dhansikaa from the sets of Kabali where the film is being canned in Chennai International Airport. The shoot in the airport will be wrapped up in 4 days and back to indoor sets. Kabali film is all about an aging gangster which is being played by Rajinikanth. Pa Ranjith is the director of this mass actioner which is being produced by Thanu and musical scores are by Santosh Narayanan. 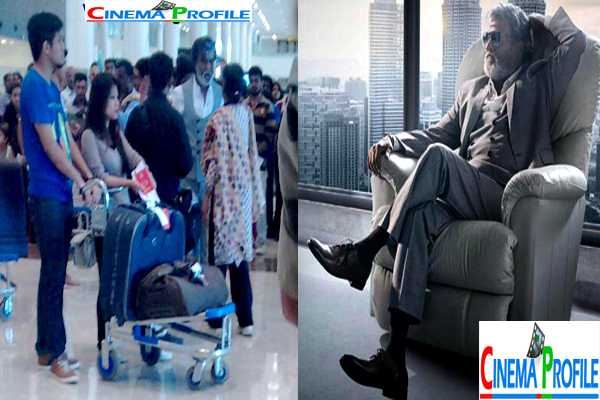 Write & Share about "Kabali wraps up shoot in Chennai International Airport | Kabali Tamil Movie News | Cinema Profile" !